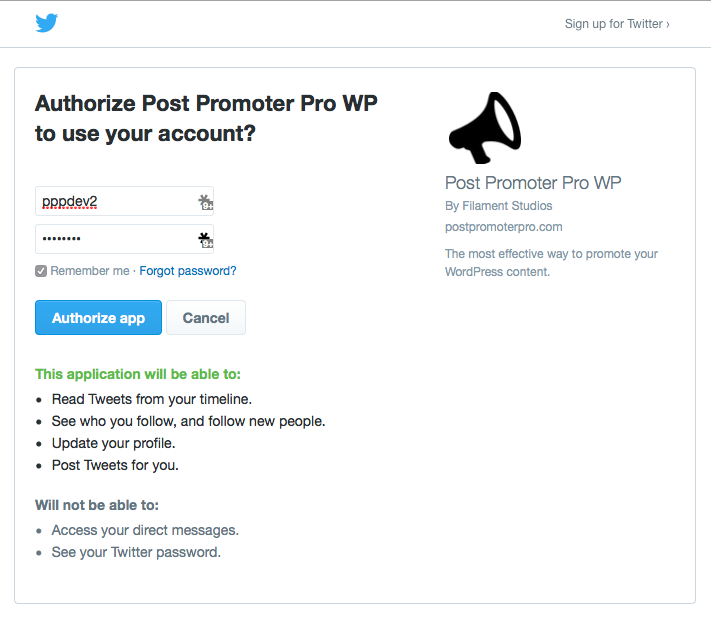 In version 2.2.7 of Post Promoter Pro, the ability for an author to connect their individual Twitter account was added. They can then choose to auto Re-Tweet any tweet sent by the primary Twitter account for the posts they are the author on. If the post is set to “Tweet on publish”, the author’s account will Retweet the primary account’s Tweet. If there are scheduled Tweets for posts the user is an author on, it will Retweet those scheduled Tweets when they are posted.